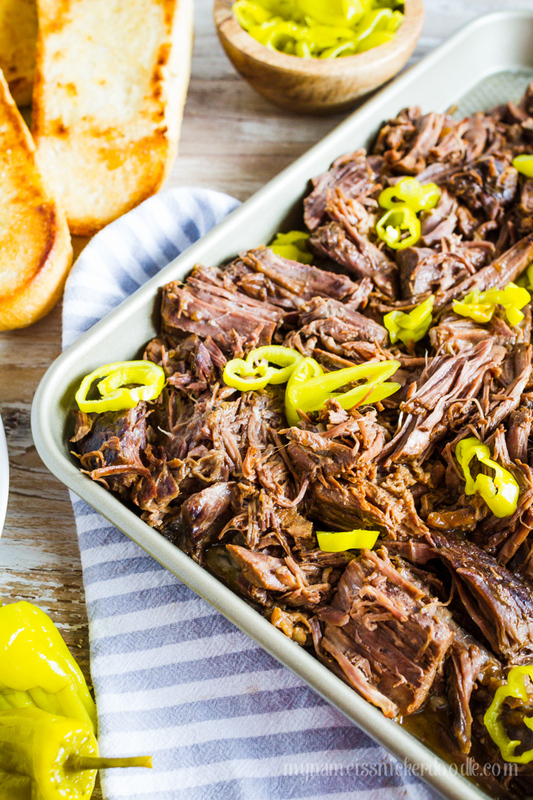 This easy Italian Beef Recipe for the Instant Pot is delicious! On a scale from one to ten, how much do you love your Instant Pot? I am at a full fledged 10 and try to cook everything I can in it. If you don’t already have one I really do recommend you get one as soon as you can. 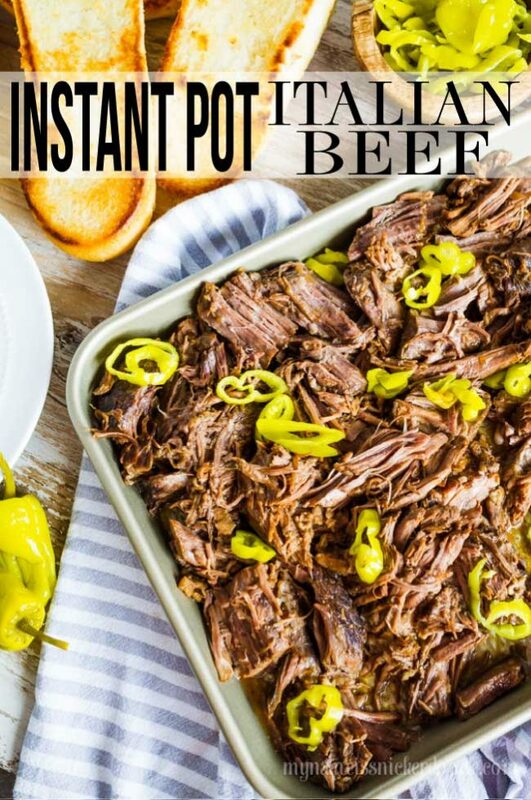 This is the Instant Pot I have. It truly has changed how much time I spend in the kitchen. The very first thing I made in the Instant Pot was mashed potatoes. It took me 8 minutes! And they were super creamy and I loved that it took no time at all. One of my favorite things to cook in it as well is roast beef. I can create a full roast dinner that super tender in under an hour and who wouldn’t love that? 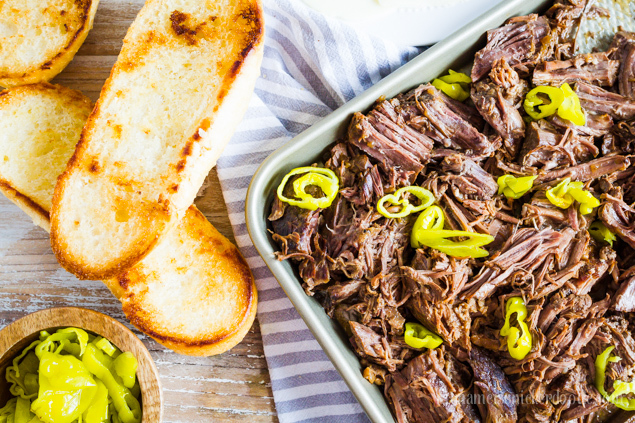 Once I mastered the classic roast I tried creating new dishes and this Instant Pot Italian Beef Recipe is most certainly a new favorite. It’s great all year around, but even perfect in the summer because you aren’t heating up your kitchen. No one needs their house temperature to rise when it’s already hot outside. 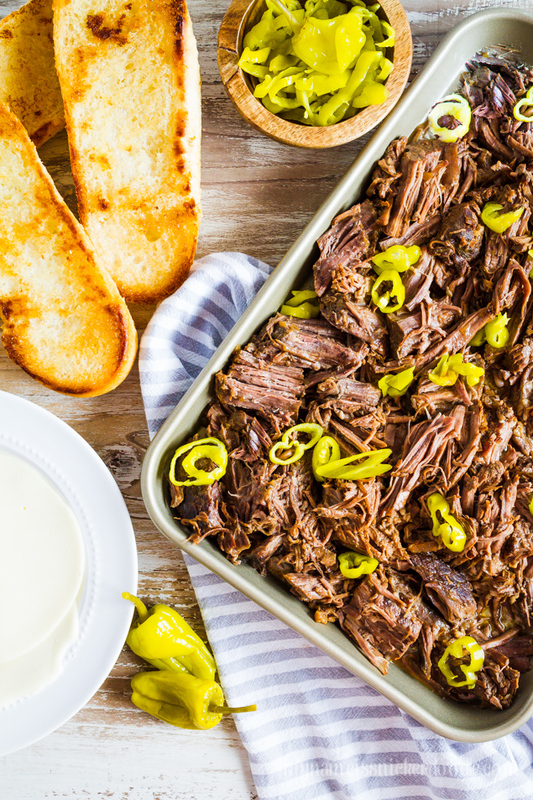 You certainly could just eat this Instant Pot Italian Beef on it’s own with a great pasta or potato salad on the side. But, it’s even better when it’s turned into a sandwich! Toast some lightly buttered hoagie buns, fill them with juicy shredded beef and some extra pepperoncini peppers, then finish it off with some sliced provolone or pepper jack cheese. It’s practically perfect! 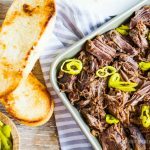 If you’re a fan of roast beef you will absolutely love this Easy Instant Pot Italian Beef Recipe; the meat is so tender and full of flavor! Once hot, brown roast on one side for 5-6 minutes then turn over and brown the other side for another 5-6 minutes. Add in onions, half of the jar of pepperocini pepper, 1/4 cup pepperocini brine, Italian seasoning mix and water. Cover with lid and set the seal mode to closed. Press Manual Mode and set time to 55 minutes. Give the lid a Quick Release and remove lid. Shred roast with 2 forks and add in the remaining pepperoncini peppers that have been drained. I like beef, but I can’t cook it. It always comes too soft. 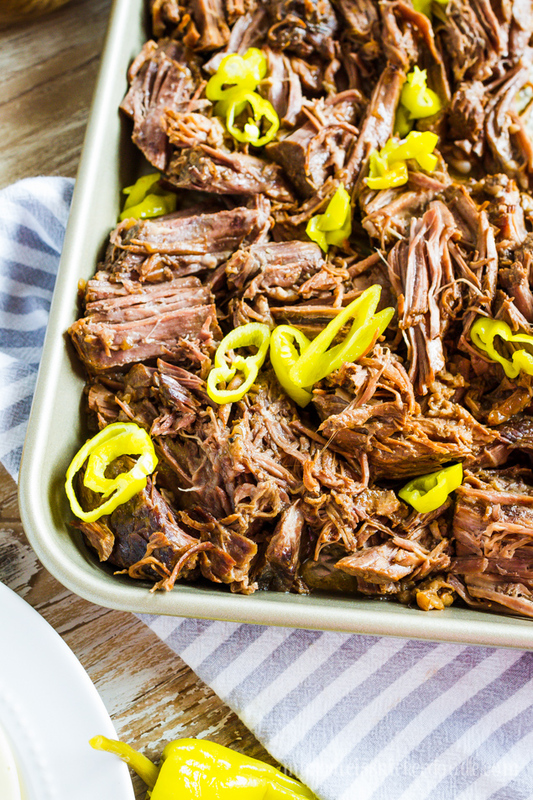 Your roasted beef looks incredible. I will definitely try this recipe.